COHEED AND CAMBRIA have announced new U.S. headline tour dates. The trek, which kicks off November 3rd in Albuquerque, NM, features support from MAPS & ATLASES and THANK YOU SCIENTIST. Fan club presale tickets will be available beginning Wednesday, September 12th at 11am local time, with general onsale beginning Friday, September 14th at 10am local time. Pre-orders are also currently underway (but nearly sold out) for the deeply immersive Vaxis – Act I: The Unheavenly Creatures – Limited Edition Deluxe Box Set, which includes an exclusive eighty-eight page hardcover illustrated sci-fi novel with strikingly realistic color imagery by Chase Stone, as well as the complete Act 1 novella written by frontman Claudio Sanchez and his wife, Chondra Echert. The box set also houses a fully wearable hard-plastic mask of the main character in The Unheavenly Creatures, a CD copy of the album, as well as the exclusive bonus album, The Crown Heights Demos, showing the songs in their original written form. 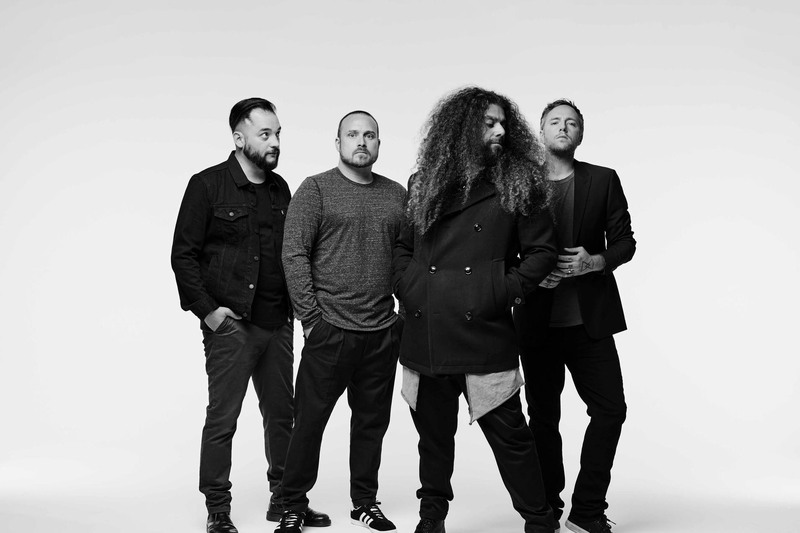 Additional items include a three-panel fold-out poster of expanded album cover art and the Unheavenly Creatures Black Card which will allow all card holders early access to tickets and early entry to Coheed and Cambria headline dates. For more information about the box-set, please visit the band’s website. COHEED AND CAMBRIA made their long-awaited return this spring with the arrival of “The Dark Sentencer,” the first new music to be released by the band since their acclaimed 2015 LP, The Color Before The Sun. Leaked to fans by Sanchez along with the opening paragraphs from the album’s aforementioned novella, the 10-minute prog manifesto made a massive global impact in media. COHEED AND CAMBRIA – who only just wrapped a U.S. co-headline trek with Taking Back Sunday that showed the band closing out each night to the biggest headline audiences of its career – will celebrate THE UNHEAVENLY CREATURES with a wide-ranging global tour, including upcoming visits to Canada and the United Kingdom. Additional headline dates will be revealed soon.